The preseason poll and awards are out for the Atlantic Coast Conference (ACC) ahead of the 2018 season, with the Pittsburgh Panthers favored to repeat as conference champion. In total, Pitt received 14 of the 15 first-place votes – considered unanimous since coaches cannot vote for their own team. It makes sense too, after the Panthers were co-ACC champs in 2017, made the NCAA Tournament second round and return all six starters plus the libero. They’re also the highest ranked ACC team in the Way-Too-Early VolleyMob Top 25 Power Rankings at #19. Louisville was the only other school to receive a first-place vote, which obviously came from the Pittsburgh staff. Once again correlating with our VolleyMob Way-Too-Early rankings, Louisville would be picked to finish second and were #29 in the early rankings overall. They actually shared the league title with Pittsburgh last season and return a majority of the team as well. Running down from third to a pair of teams tied for seventh are a handful of 2017 NCAA Tournament teams in Florida State (3), Notre Dame (4), Miami (FL) (T-7) and NC State (T-7). The Seminoles are also #30 in the Way-Too-Early VM Top 25. The others in that top half that didn’t make the tournament and are looking for stronger 2018 seasons are Duke (5) and North Carolina (6) – who sits at #33 in the Way-Too-Early VM Top 25. In terms of players, Louisville actually reigned supreme with four picks compared to Pittsburgh’s three. Florida State, NC State and Notre Dame were the only other schools with more than one player selection. In total, 16 of the 18 recipients on the preseason players list earned distinction in the 2017 ACC postseason awards including 2017 Defensive Player of the Year Molly Sauer (Louisville), Setter of the Year Wilma Rivera (Louisville) and unanimous first-team right side Nika Markovic (Pittsburgh). 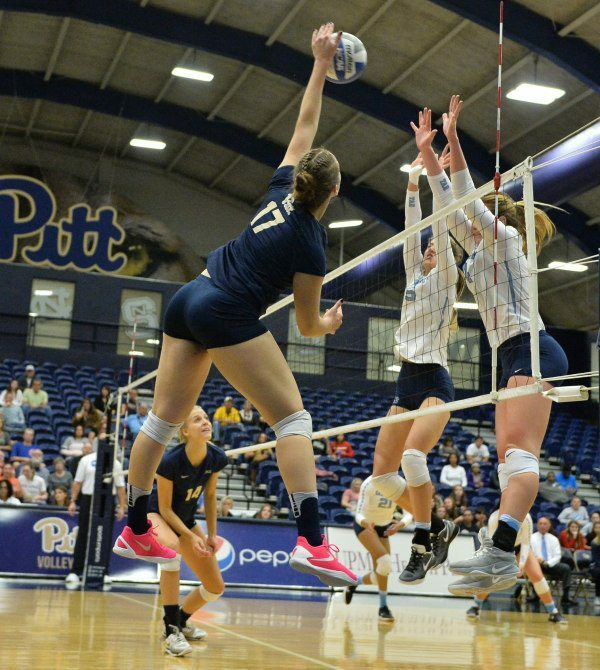 The two new names to the list are Duke middle blocker Leah Meyer and Florida State outside hitter Payton Caffrey (since she transferred in from a different league in the Big 12 from West Virginia).